With the CGC series, Cark aims to expand its presence in the forklift internal combustion counterbalance truck sector. These models, designed for distribution, manufacturing and warehousing of all types including the paper and pulp industries, and are suited for the toughest applications. With a short wheel base and cushion tyres, the high-performance LPG models are not just much more compact than the competition with super-elastic or pneumatic tyres, they also excel with a very tight turning radius and narrow aisle width. This makes this model an excellent choice for merchandise handling in narrow warehouse aisles or confined production areas. With hydrostatic power steering, and with only four turns, the operator can completely turn the truck. 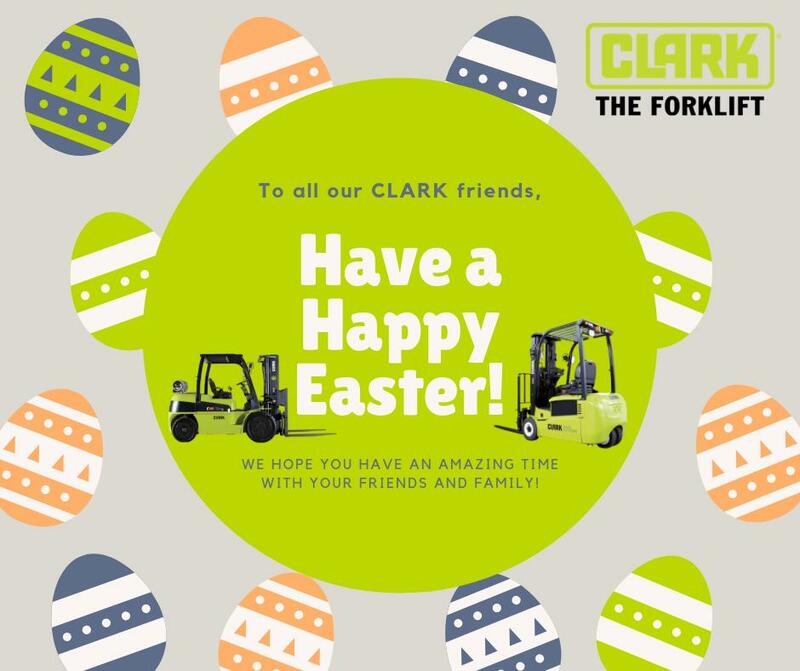 For comparison: The Clark C40 LPG 4.0 ton forklift with either super-elastic or pneumatic tyres has a turning radius of 2,843 mm, while the CGC70 7.0 ton forklift has a turning radius of 2,728 mm. This means that the CGC70 can lift 3 tons more with nearly the same turning radius. When it comes to the aisle width, the CGC70 with a width of 4,425 mm also tops the C40, which has an aisle width of 4,816 mm. With its solid construction and stable mast design, there is a large residual load capacity at greater lift heights. This increases application efficiency and productivity. Like all Clark trucks, the CGC series was also developed according to the proven Clark concept “Built to Last”. The one-piece vehicle frame consists of heavy-duty welded sectional steel sheets that protect the vehicle and driver against impact damage and ensure that the forklift has a long service life. The robust protective driver overhead guard protects against falling loads and gives the driver an excellent skyward view to safely move the load into and out of racking areas. These powerhouses are driven by the proven PSI six-cylinder LPG (4.3 l) 82 kW rated engine. Equipped with a regulated 3-way catalytic converter, which already satisfies strict future exhaust emission controls effective from 2019. The environmentally friendly engine provides high performance and reliable consistent operation. The power shift transaxle is an integral assembly, transmission, differential and drive axles providing long life and durability. All seals and drive shafts are protected against wear and contamination. During operation the temperature of the engine and the transaxle assembly are permanently monitored and if thermal limit values are exceeded the engine will shut down immediately. The brakes of the CGC are operated by a hydraulic servo brake valve. If the parking brake is activated, the transmission is switched to neutral to avoid premature brake wear. With the modular design main control valve, a fourth hydraulic function can be retrofitted. The easy service access of the truck is another excellent feature. The control systems can easily be diagnosed via an error control lamp on the display unit. The service technician can also read out the corresponding error codes with an interface and laptop. All maintenance parts and components are accessible without special tools so the service technician can easily reach all components that are relevant for maintenance which means that down time can be reduced to a minimum. The interior of the spaciously designed driver compartment offers plenty of head and legroom. The operator can use the large foot step to easily enter and exit the truck. Grab handles on both sides of the truck increase safety. The steering column is tiltable and can be adjusted. The full-suspension seat with a comfortable, retractable seat belt can also be adapted to the driver size and weight. All operating elements are positioned ergonomically and can be used with minimum force avoiding driver fatigue. The driver controls the hydraulic functions with levers mounted on the front panel, the levers can be easily operated even when wearing gloves. The driver has all the important driving parameters in view with the easy to read dashboard display. Clark offers the CGC series with an extensive range of accessories that enable the trucks to be customised for individual operating conditions, such as attachments, strobe lamps, reverse signal devices, auxiliary valves, rear work lights, hydraulic control functions and suspension seats in either vinyl or textile materials.